The GST Council in its 28th meeting held here today has approved the proposal to open the migration window for taxpayers, who received provisional IDs but could not complete the migration process. The taxpayers who filed Part A of FORM GST REG-26, but not Part B of the said FORM are requested to approach the jurisdictional Central Tax/State Tax nodal officers with the necessary details on or before 31stAugust, 2018. The nodal officer would then forward the details to GSTN for enabling migration of such taxpayers. 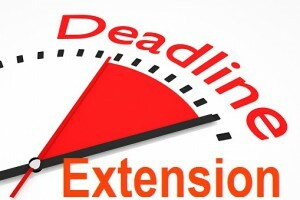 It has also been decided to waive the late fee payable for delayed filing of return in such cases.Such taxpayers are required to first file the returns on payment of late fees, and the waiver will be effected by way of reversal of the amount paid as late fees in the cash ledger under the tax head. Taxpayers who intend to complete the migration process are requested to approach their jurisdictional Central Tax/State Tax nodal officers in this regard. The GST Council in its 28thmeeting held here today has recommended certain amendments in the CGST Act, IGST Act, UTGST Act and the GST (Compensation to States) Act. 1. Upper limit of turnover for opting for composition scheme to be raised from Rs. 1 crore to Rs. 1.5 crore. Present limit of turnover can now be raised on the recommendations of the Council. 2. Composition dealers to be allowed to supply services (other than restaurant services), for upto a value not exceeding 10% of turnover in the preceding financial year, or Rs. 5 lakhs, whichever is higher. 3. Levy of GST on reverse charge mechanism on receipt of supplies from unregistered suppliers, to be applicable to only specified goods in case of certain notified classes of registered persons, on the recommendations of the GST Council. 4. The threshold exemption limit for registration in the States of Assam, Arunachal Pradesh, Himachal Pradesh, Meghalaya,Sikkim and Uttarakhandto be increased to Rs. 20 Lakhs from Rs. 10 Lakhs. 5. Taxpayers may opt for multiple registrations within a State/Union territory in respect of multiple places of business located within the same State/Union territory. 6. Mandatory registration is required for only those e-commerce operators who are required to collect tax at source. 7. Registration to remain temporarily suspended while cancellation of registration is under process, so that the taxpayer is relieved of continued compliance under the law. c. Supply of goods in case of high sea sales. e. Goods or services which are obligatory for an employer to provide to its employees, under any law for the time being in force. 10.In case the recipient fails to pay the due amount to the supplier within 180 days from the date of issue of invoice, the input tax credit availed by the recipient will be reversed, but liability to pay interest is being done away with. 11. Registered persons may issue consolidated credit/debit notes in respect of multiple invoices issued in a Financial Year. 12. Amount of pre-deposit payable for filing of appeal before the Appellate Authority and the Appellate Tribunal to be capped at Rs. 25 Crores and Rs. 50 Crores, respectively. 13. Commissioner to be empowered to extend the time limit for return of inputs and capital sent on job work, upto a period of one year and two years, respectively. 14. Supply of services to qualify as exports, even if payment is received in Indian Rupees, where permitted by the RBI. 15. Place of supply in case of job work of any treatment or process done on goods temporarily imported into India and then exported without putting them to any other use in India, to be outside India. 16. Recovery can be made from distinct persons, even if present in different State/Union territories. 17. The order of cross-utilisation of input tax credit is being rationalised. 3. These amendments will now be placed before the Parliament and the legislature of State and Union territories with legislatures for carrying out the amendments in the respective GST Acts.